OPEN TO RESIDENTS OF THE 50 UNITED STATES AND WASHINGTON D.C., 18 YEARS OF AGE AND OLDER ONLY. This Contest is sponsored by Quest Nutrition, LLC, 2221 Park Place, El Segundo, CA 90245 (“Quest”). There is no purchase necessary to enter or win. This Contest is open to legal residents of the fifty United States and Washington, DC who are eighteen (18) years of age or older at the time of entry and meet the entrant qualifications; however, the Contest is void where prohibited by law. Quest reserves the right to request proof of age or identity. Employees of Quest and NASM and their affiliates, licensees, franchisees, advertising and promotional agencies and the immediate family members are not eligible. Immediate family members are a person’s spouse, parents, siblings and children. Participants in the Contest agree that they have read, understood and accepted these Official Rules and agree to be bound by them, including all eligibility requirements and decisions of Quest. Quest reserves the right to revise any and all aspects of the Contest and these Official Rules at any time with or without notice to entrants. 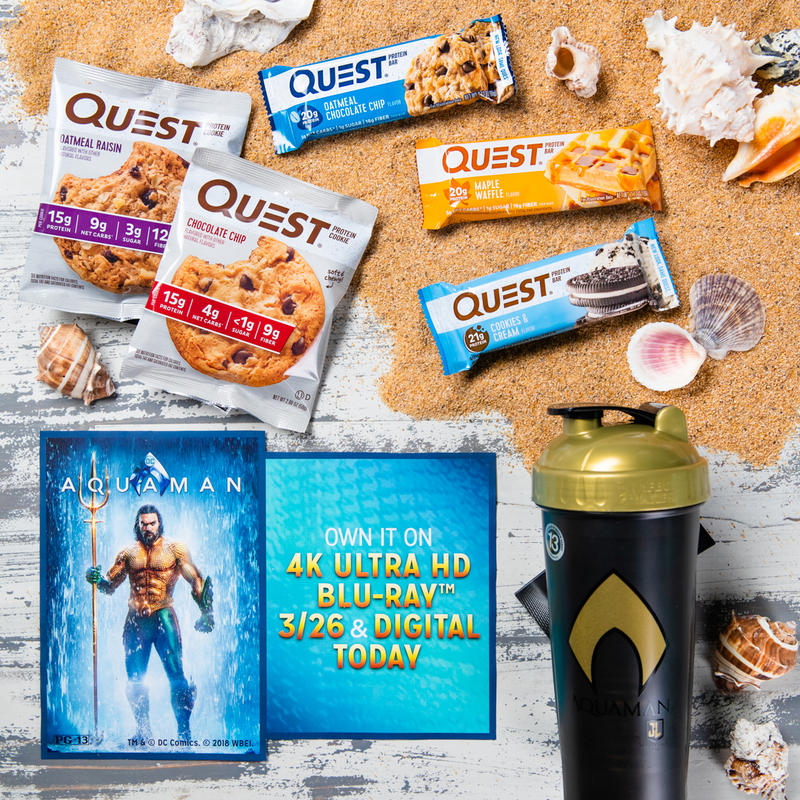 To enter the contest, sign up through the submission form on http://www.questnutrition.com. After you’re granted entry, you must participate in all the necessary check ins at 30 day (4/18/2018), 60 day (5/18/2018), & 90 day (6/17/2018) on Facebook or via email. You must be a current NASM- credentialed professional to enter and at the time of the drawing to be a winner. Otherwise, your submission is void. By entering, participants agree to be bound by these rules and the decisions of Quest which shall be final and binding. All applicable laws apply. Quest and the employees, officers, directors, shareholders, agents, and representatives of Quest and its affiliates, subsidiaries, and advertising, promotion and legal advisors are not responsible for and shall not be liable for: (i) late, lost, delayed, damaged, misdirected, incomplete, illegible, or unintelligible entries; (ii) telephone, electronic, hardware, or software program, network, Internet, web site, social media platform or computer malfunctions, failures, or difficulties; (iii) errors in transmission or reception; (iv) any condition caused by events beyond the control of Quest that may cause the Contest to be disrupted or interrupted; (v) any injuries, losses, or damages of any kind caused by a prize or resulting from acceptance, possession, or use of a prize, or from participation in the contest; (vi) errors in these official rules or their interpretation or enforcement; or (vii) any printing or typographical errors in any materials associated with the contest. By participating in the Contest, entrants agree to release and agree to indemnify, defend and hold harmless Quest and the employees, officers, directors, shareholders, agents, and representatives of Quest and its affiliates, subsidiaries, and advertising, promotion and legal advisors, as well as the National Academy Of Sports Medicine (NASM), its parent companies, subsidiaries, and affiliated companies, and each of their respective officers, directors, agents, representatives and employees, as well as each of their respective successors and assigns (collectively, the “Released Parties”) from and against any and all claims, demands, losses, or cause of action for any damages (including, without limitation, all consequential, punitive, and incidental damages), liability, loss, cost, fees (including attorneys’ fees), including, but not limited to, personal injury, death, or damage to or loss of property, arising out of participation in the Contest or receipt or use or misuse of any prize, and for claims based on publicity rights and intellectual property rights, defamation or invasion of privacy. Quest makes no warranty, representation or guarantee of any kind, express or implied, in fact or in law relating to any prize. This Contest is not sponsored by NASM. If, in Quest’s opinion, there is any suspected evidence of tampering with any portion of the Contest, or if technical difficulties compromise the integrity of the Contest, Quest reserves the right to modify, cancel, suspend or terminate the Contest in whole or in part, at Quest’s sole discretion, including, without limitation, revoking any entrant’s entry into the Contest and/or revoking any winner’s prize award. Any dispute arising out of or relating to these official rules or this Contest shall be resolved by binding arbitration in accordance with the then current rules of the Judicial Arbitration and Mediation Service. The place of any arbitration shall be Los Angeles, California. Any issues or questions of construction, interpretation, validity, or enforceability of these rules, or the rights and obligations of the entrant and/or Quest in connection with the Contest shall be governed by, construed and interpreted in accordance with the laws of the State of California, without giving effect to any choice of law or conflict of law rule which would cause the application of the laws of any jurisdiction other than the State of California. Quest reserves the right, in its sole discretion, to (a) void any and all entries of an entrant who Quest believes has attempted to tamper with or impair the administration, security, or fairness of the contest, and/or (b) disqualify any participant or winner who, in its sole determination, tampers with the entry process, submits more than a single entry or violates these official rules. The 90 Day Challenge Contest period will be from March 20, 2018 to June 17, 2018. June 17 marks the end of the 90 day period. FIVE finalists will be selected by 12:00 PM (Pacific Daylight Time-California) on June 20, 2018 from among all eligible entries received. The final five will then move on to our final voting round. The final five each will be notified via email on June 21, 2018 by 11:59 PM (Pacific Daylight Time-California (“Notification”). Quest is not responsible or liable for lost, misdirected, or unsuccessful efforts to notify finalists. If any Notification or attempted Notification is returned as undeliverable, the selection to the final five may be forfeited and may be awarded to an alternate entrant. Quest reserves the right to use additional means to contact winner, at its sole discretion. If any finalist does not reply to such Notification within three (3) days of the date Quest first notified the finalist that he or she had been selected as a finalist, such finalist will be disqualified and an alternate finalist will be selected. After selection of top five, the five finalists will go into an online voting round open to the public. The voting round will begin on June 25, 2018. Voting will run until July 2, 2018 at 11:59 p.m. PST. 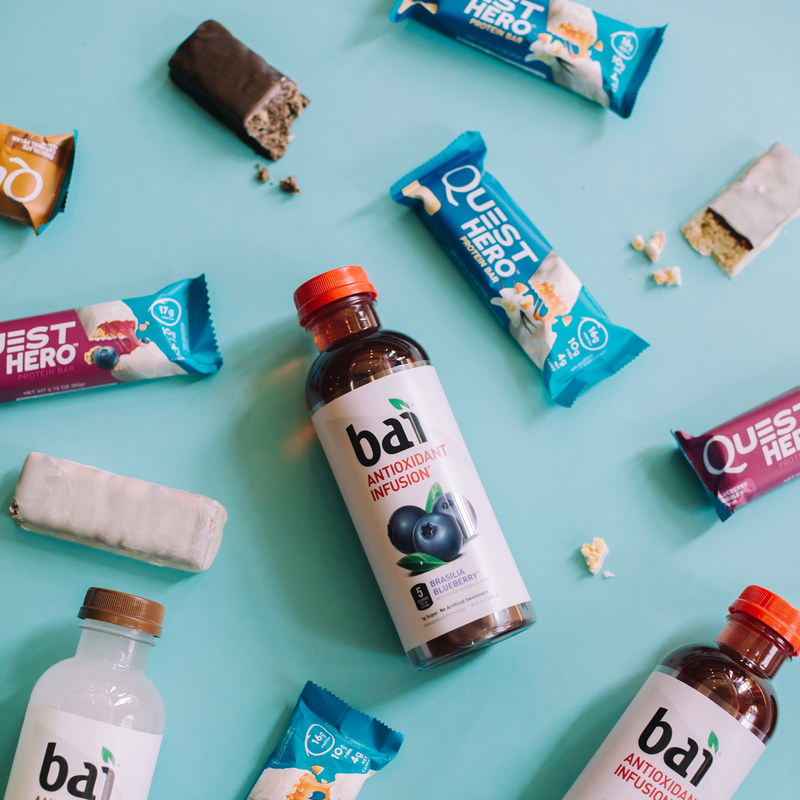 Votes can be cast on the voting page at www.questnutrition.com. ONE (1) winner from the top five finalists be chosen based on the fan voting totals. The winner will be announced to the public on July 15, 2018 by 12:00 PM (Pacific Daylight Time-California). by July 5, 2018. Odds of winning depend on the total number of entries received. 8d. 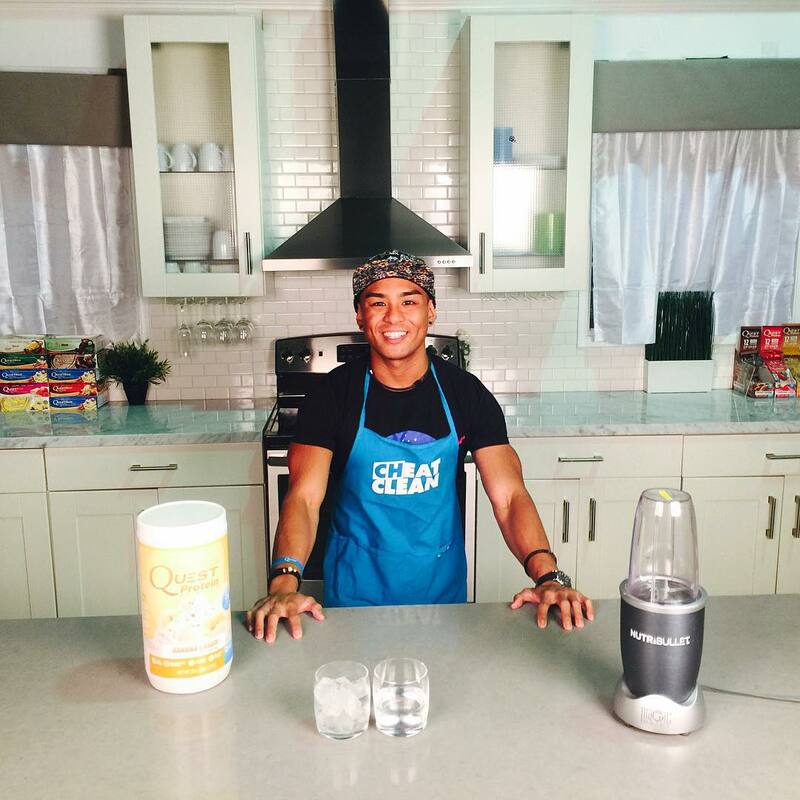 An episode feature on the Quest Nutrition “Transformation” series. The winner will be notified via email by 11:59 PM (Pacific Daylight Time-California) on July 4, 2017, that they are the winner. Quest is not responsible or liable for lost, misdirected, or unsuccessful efforts to notify winners. If any Notification or attempted Notification is returned as undeliverable, the prizes may be forfeited and may be awarded to an alternate potential winner. Quest reserves the right, but is not required to, use additional means to contact winner, at its sole discretion. If any winner does not reply to such Notification within five (5) business days of the date Quest first notified the winner that he or she had won the Contest, such winner will be disqualified and an alternate winner will be selected. Winner may not substitute or transfer prizes. Quest reserves the right to substitute a prize of equal or greater value in the event the prizes are unavailable. Prizes may be subject to reporting for tax and other purposes. Winners should consult their tax advisers with respect to any applicable taxes relating to any prize. Except where prohibited by law, acceptance of a prize constitutes a winner’s consent for Quest and NASM to print, publish, broadcast and use worldwide in any media now known or hereinafter known (including without limitation use online at the website) his/her name, likeness, biographical information, all entry materials provided by winner, voice, statements, photograph or other likeness without further notification or compensation for advertising, promotional and publicity purposes by Quest or NASM, using media of Quest’s or NASM’s choice. Nothing shall obligate Quest or NASM to so use or engage in any of the above. Winner (or winner’s parent/legal guardian if any winner is deemed a minor in the state of his/her residence; all entrants must be at least 18 years old) may also be required to sign and return a release of liability, declaration of eligibility and, where lawful, a publicity consent agreement, as conditions of receiving a prize. Failure to comply with the aforementioned conditions shall be grounds for forfeiture of a prize. In such a case, an alternate winner will be selected at random from the eligible entries. Any inquiries or questions regarding this Contest, other than a request for the names of the winners, may be made by sending the inquiry or question with a self-addressed, stamped envelope to Quest Nutrition, LLC, 2221 Park Place, El Segundo, CA 90245 or an e-mail to [email protected]. 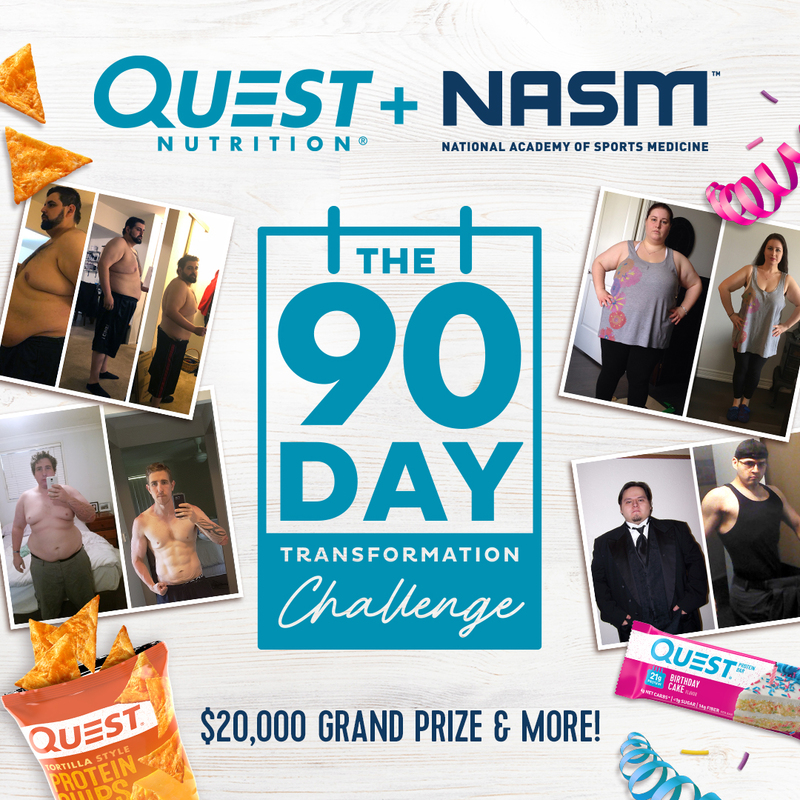 Requests for the name of the winner may be made by sending a self-addressed, stamped envelope to Quest Nutrition LLC, Quest & NASM 90 Day Challenge Contest, 2221 Park Place, El Segundo, CA 90245 with a request for the name of the winner. Written by: Clark Pagaduan on March 12, 2018.on March 13, 2018.